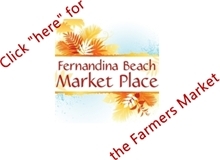 October 20, 2018, is bringing an additional market to Fernandina Beach. 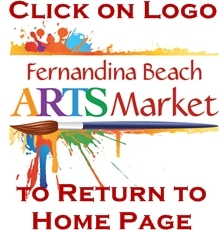 In fact, there will also be an additional arts market on the third Saturday in November, too. This week you can look forward to some of your favorite artists such as Color Peace tye dies, Liz Lind’s beautiful artwork, and Gotz 2 Paint, a company specializing in wood working and pet portrait commissions just in time for the gift giving holiday season. We also have some new vendors who may quickly become your favorites. Iron Deuces Metal Works has amazing metal arts, but by far their most popular item is the Georgia Bulldog or Florida Gator fire pit. Honestly, the Gator fire pit has been the most popular, but with the Georgia/Florida game schedule for October 27th, this is a must have if you are throwing a party for this annual football rivalry. Another new vendor is Tiles by the Sea. Linda designs coasters, cutting boards and other tiles from her own art, your art, or photographs. Blue Cottage Pottery is a new vendor from Bruswick, Georgia, who debuted last week with hand crafted pottery designs like bowls, serving dishes and more. Tagged Amelia Island Arts Market. Bookmark the permalink.